Cut cauliflower into small pieces and soak it in salt water for 10 min. Then wash them with clean water strain extra water. Then transfer this into big bowl add chilli powder, turmeric powder, jeera powder, coriander powder, pepper powder, salt and curd mix well and keep aside for 10 to 15 min. 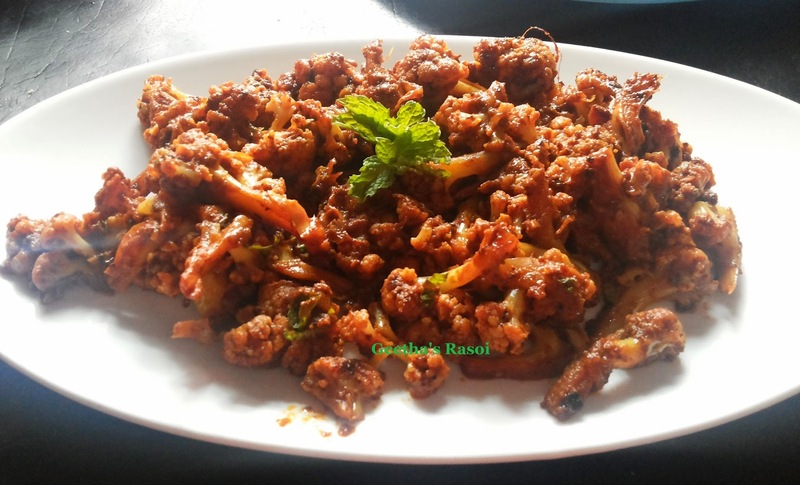 Heat oil in kadai add sliced onion and garlic fry till light brown then add marinated cauliflower and half cup water mix well, cover and cook till it dry. Serve with roti or rice.